Compline at 9pm: Prepare to Sleep in the arms of God. For those uninitiated into the world of liturgical prayer, they have a one-page document, ‘Preparing for and Participating in Liturgy.’ Finally, they have available ‘A Week of Complines‘ to download. This liturgical aspect of a missional church interests and excites me for more than the obvious reasons. I think that prayer must be at the centre of our lives as individuals as well as churches. If we want to see transformation occur in our own hearts as well as in the communities around us, we need to encounter the living God. The witness of Scripture and Christian history tells us that this happens when we set aside time for prayer and worship. Indeed, Baptist preacher John Piper even notes that worship is our true end; mission exists because worship does not. This is our chief activity. I would have been really excited to hear about this venture and mission on behalf of Christ’s church — and in my old stompin’ grounds (well, almost — Port Arthur isn’t quite the same as Fort William) — regardless of anything else. I’m doubly pleased that a friend from high school and her husband (who is fast becoming a friend) are involved in this disciple-making movement of prayer in the broken heart of Thunder Bay. And I’m humbled that I have been approached to assist with the liturgical angle of this moment of Our Lord’s mission on earth. Anyways, I was interested if you would ever be interested in sharing/creating some liturgies ( I know you don’t just “create” them, but I hope you get what I mean) that you feel would be meaningful/important. I’ve been mulling over this for the past couple of weeks — probably too much, but that’s just the way I am. It’s true that one doesn’t just ‘create’ liturgies. For example, I once led a study of a portion of St Gregory of Nyssa’s Life of Moses that dealt with perfection — since Divine perfection is endless, then our own perfection will be endless too. This is the selection in Richard Foster’s book Devotional Classics. For prayers at the start of that evening, I took some of the prayers from the Divine Liturgy of St Basil the Great and modified them a little, making portions antiphonal and giving the selection a beginning and an end — these were prayers for perfection. Obviously, they were out of context. But it was a way to truly pray (one does not pray ancient prayers for novelty) but also to connect with the world of the Cappadocians more thoroughly than a merely intellectual study would or could. The creation of ‘occasional’ liturgies such as that is a matter of looking at the needs of that community and that moment, and then looking at the resources — the rich and beautiful resources — available to us in the centuries of prayers that Christians have offered up to God, Father, Son, and Holy Spirit. As a Latinist, I have an advantage over a great many other people in this regard. 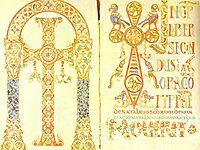 While some of our earliest Greek liturgical texts, such as St Hippolytus’ Apostolic Tradition, have been Englished, most early Latin liturgical texts remain untranslated. I can thus more easily tap into the wellspring of ancient and early mediaeval prayer than those unschooled in the Latin tongue. I think I will prayerfully read through these ancient and early mediaeval prayers and prepare some texts for my friends. They are the same sources that Thomas Cranmer used in the 1500s as well as some new ones that have come to light. They express beautiful truths that all Christians can stand behind. So I will see if we can make them live again today in Urban Abbey’s Tower of Prayer in Thunder Bay. In my next post I’ll go into some actual thoughts on Christian prayer in Late Antiquity and the Early Middle Ages.